Speaking of Sprint, the Shack has a special deal for those willing to become a brand new customers of the nation's third largest carrier. 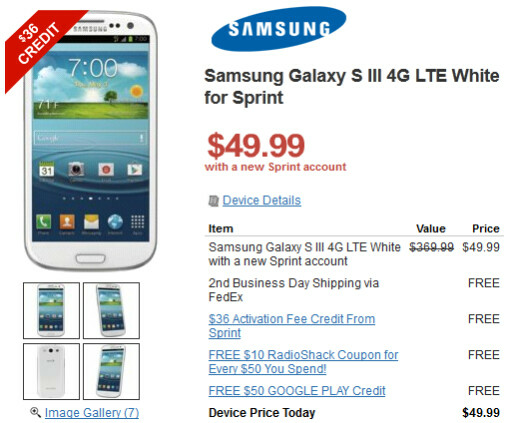 New Sprint customers can pick up Sammy's flagship handset for just $49.99, which will require a signed two-year pact. With Black Friday coming at the end of this week, you can avoid the lines and either get over to your local RadioShack now, or head to the retailer's web site with just a click on the sourcelink. 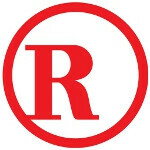 And by the way, orders of more than $50 get free ground shipping giving you yet another incentive to buy your Samsung Galaxy S III from Radio Shack. It's also available through the Target Mobile kiosks who are through Radioshack that sell T-Mobile as well. This deal is for Verizon and Sprint online customers - if you pick AT&T for your carrier you have to visit a radio shack for the deal - 99.99 for 2 yr contract..
i got a 25$ card with Target a month ago. That was a nice promotion. But now it's 50 and you can also trade in any working smartphone and get another 20 off the s3.